The year 1968 is getting some half-centennial fame these days. It’s being remembered, rightly, as a difficult time. The Vietnam War was at its peak, Lyndon Baines Johnson announced he would not seek re-election, Martin Luther King was assassinated, the Black Panthers and Oakland police had a deadly shoot-out, students rioted in Paris, Bobby Kennedy was assassinated, the Prague Spring was put down by an invasion, the Democratic National Convention was marked by riots, Richard Nixon won the presidential election — and, in rare good news, Apollo 8 made the first manned-flight orbits of the Moon. Some of the unrest and technological change became reflected in the English language. Here are a few of the words and expressions that according to Merriam-Webster’s Time Traveler 1968 page made their first appearances in print that year. The expression gavel-to-gavel probably reflects coverage of the Democratic National Convention. 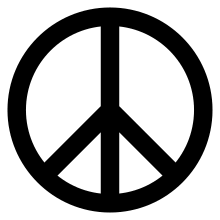 The hippie counterculture had also reached a high point, with new expressions like love beads and peace sign. The Youth International Party also got its start, resulting in the word yippie. A related development was the new acronym SWAT, meaning a police Special Weapons And Tactics unit. Meanwhile, NASA was busy with the Apollo missions and other space exploration. This gave rise to the words Earthrise, geosynchronous, and pulsar. The computer mouse debuted in 1968. So did some new computer expressions: alt key, bit rate, word processing, and data mining. Finally, the expression cash bar first appeared, although the activity it described probably existed before we had a name for it. I was too young to know.